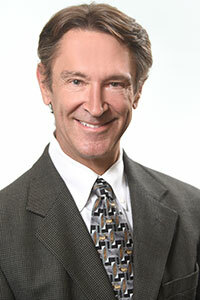 Dr. Calk is a native of Atlanta and has resided in the Morningside community since 1985. He is an avid outdoorsman, and especially enjoys hunting, fishing and camping. He and his wife Laura celebrated their 25th wedding anniversary in 2010. They have three children: Everarde, Adrienne and Frederick who attended The Westminster Schools in Atlanta and are now scattered around the Southeast in college. As the senior partner at Children's Medical Group, Dr. Calk is proud to have been a patient of the practice in its early years. When he joined CMG in 1985, his original pediatrician, Dr. Luten Teate was still practicing. The senior partnership at that time included Drs. Forest Jones and David Morgan as well as Dr Teate, who shared a combined pediatric experience in excess of 100 years. The practice in the early years had a "family" atmosphere, a feeling we still strive for today despite having grown significantly in the last two decades.